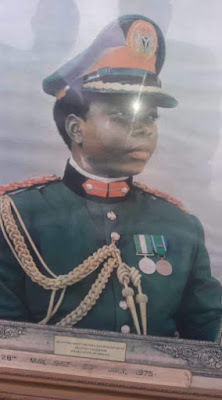 The Kwara State chapter of the All Progressives Congress (APC) has described the death of the the first military governor of the state, General David Lasisi Bamigboye as the closure of a book entitled 'a man of many firsts'. In a statement released in Ilorin on Friday, the party's chairman, Hon. Bashir Bolarinwa said, the late military governor of Kwara State had a vision for a great Kwara State when he laid foundation for many enduring legacies. "Late General Bamigboye had a great vision for our dear state when he laid foundation for larger Kwara State through a robust civil service. He was concerned about intellectual development of the state when he established Kwara Tech (now Kwara State Polytechnic) and many government secondary schools. He built Kwara State Government House; he built Kwara State 1st Secretariat; he built many General Hospitals and Rural Health centres. "He established Kwara Furniture Company; he established Kwara Water Corporation; he built Kwara Hotels; he established Herald Newspaper and provided scholarships for Kwara indigenes in higher institutions among other outstanding legacies he left behind. "General Bamigboye during his reign as the longest serving military governor (1967 - 1975) built and sustained unity of amongst all indigenes of the state which culminated in the production of outstanding scholars, civil servants, jurists, professionals, entrepreneurs and other great Kwarans in various fields of human endeavours." Bolarinwa said that, the first military governor will be missed at the inauguration of a new progressive government in 2019. "It is a great concern to us that, the first military governor of our dear state will not be in attendance when our government will be inaugurated next year. "Unfortunately, he attended the 50th year anniversary of the creation of the state where those legacies he built could not be celebrated because they have been eroded by a complacent, visionless and self-centred cleague that are currently in the saddle of the state. "We are however determined to restore the lost glory of the state, so that the labour of our founding fathers will not be in vain". He concluded.